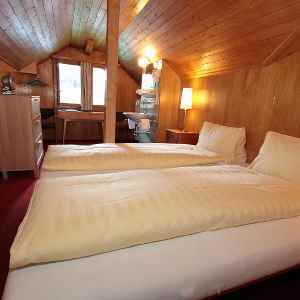 Hotel Staubbach offers simple, homey accommodation in one of the most beautiful valleys in the Swiss Alps. 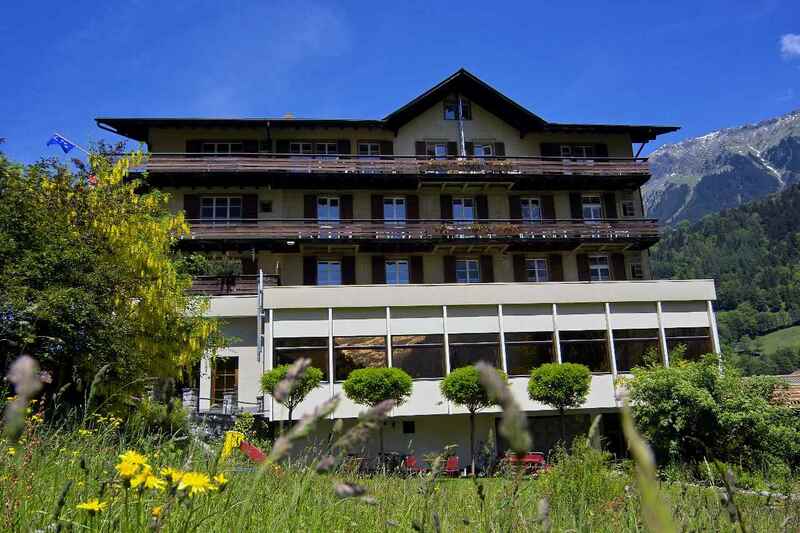 We look forward to welcoming you and hope to help make your stay in the Bernese Oberland a memorable one. 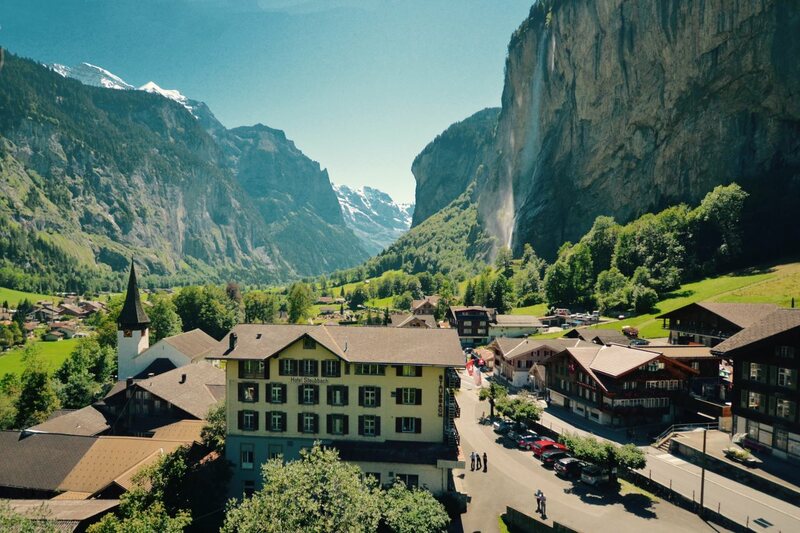 Lauterbrunnen is a small, authentic village, centrally located in the Jungfrau Region with easy access to the Jungfraujoch, Schilthorn, Trümmelbach Waterfalls and many other fascinating excursions. The surrounding scenery is dramatic with steep cliffs, snowy peaks and 72 waterfalls. 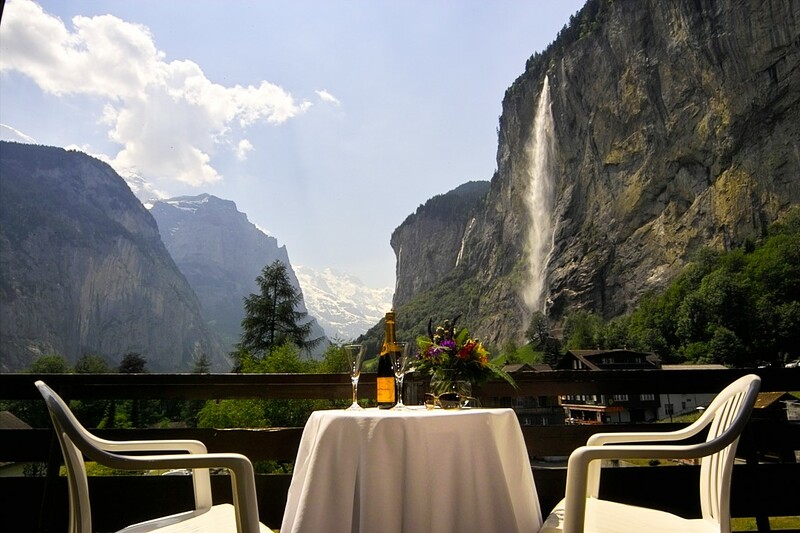 One of the highest of the falls at 297m is the Hotel’s namesake, the Staubbach Falls, just a stone’s throw from our front door. The whole area is easily accessible with a network of trains, cable cars and funiculars and endless walking paths too. The hotel is family owned: Craig from California, Corinne from Switzerland and the real bosses Kelly and Amy who were born in the Staubbach! 180º panoramic valley and waterfall view, with balcony. Two single beds pushed together, private bathroom (sink, shower, WC). Village and waterfall view from the balcony. Two single beds pushed together, private bathroom (sink, shower, WC). Mountain and village views, no balcony. Two single beds pushed together, private bathroom (sink, shower, WC). For our budget travelers: Small, cosy room, two single beds pushed together, sink only (bathroom across the hall). 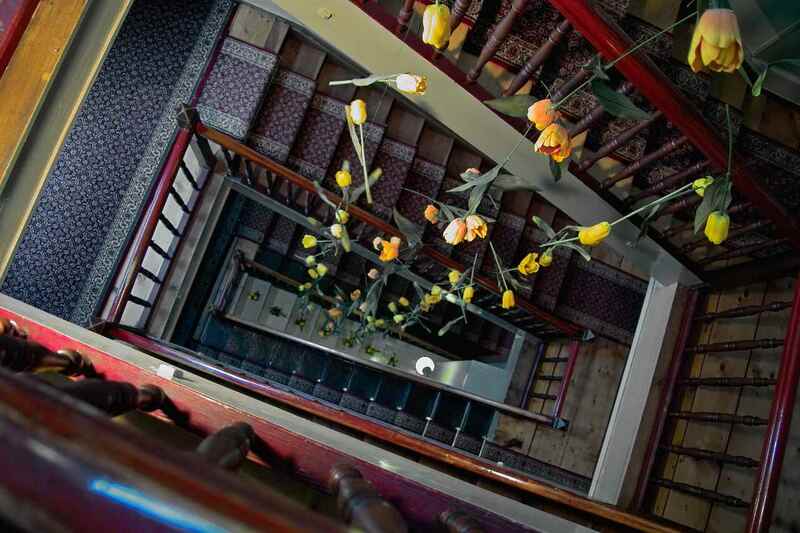 This room is under the roof with low slanted ceiling and access only by a small stairway. Maximum 2 people. 180º panoramic valley and waterfall view, with balcony. One double room (two single beds pushed together) with private bathroom (sink, shower, WC) with connecting door to another double room (adult size bunk beds, sink only). Mountain and village views, no balcony. One double room (two single beds pushed together) with private bathroom (sink, shower, WC) with connecting door to another double room (two single beds pushed together, sink only). Mountain and village views, no balcony. One room with two single beds pushed together plus adult size bunk bed, private bathroom (sink, shower, WC). Mountain and village views, no balcony. One room with three single beds with private bathroom (sink, shower, WC). 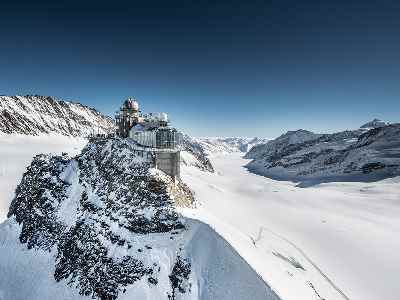 The Top of Europe (highest rail station in Europe) – the land of eternal snow and ice with spectacular views over the Alps and the impressive Aletsch Glacier, as well as ice sculptures in the Ice Palace within the Glacier. 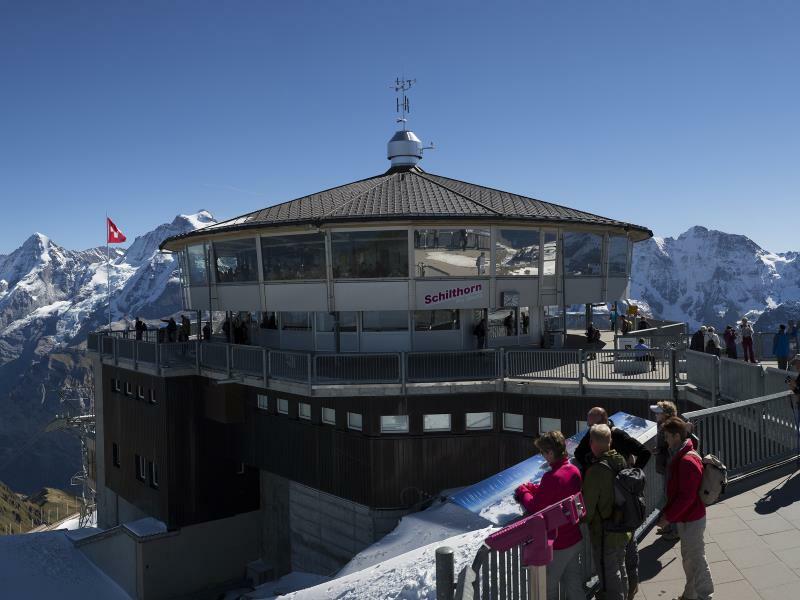 Exciting cable car ride to the Schilthorn peak with 360° panoramic views. Visit the James Bond exhibition at the peak or the scary Skyline walk at the middle station. 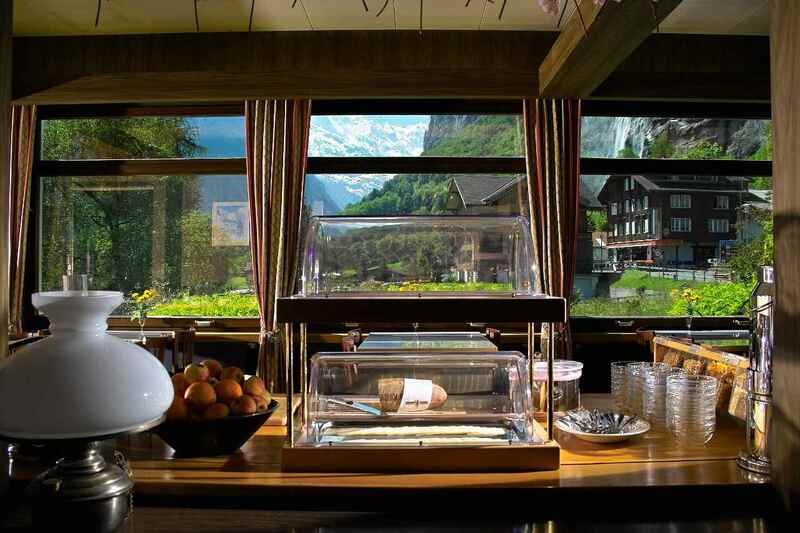 Stop off in the traditional villages of Mürren and Gimmelwald on route. 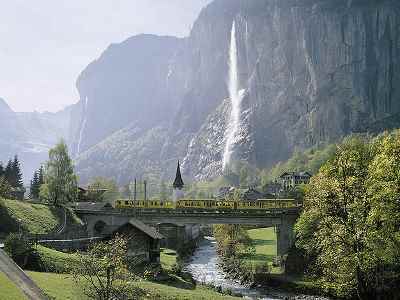 There are 72 waterfalls in the Lauterbrunnen Valley including the 297m high Staubbach. Don’t miss a visit to the spectacular Trümmelbach Falls thundering inside the mountain just a few minutes drive or an easy scenic 45 minute stroll. An old nostalgic train winds its way up from Wilderswil to the plateau above where there are stunning views of the whole region, including the Eiger, Mönch and Jungfrau Trio and the Lakes of Brienz and Thun. Don’t miss a visit to the Alpine garden. 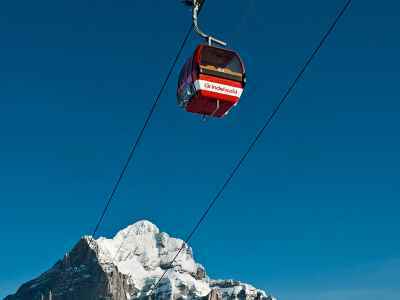 A modern cable car from Grindelwald to First from where you can walk to the stunning Bachalp mountain lake. 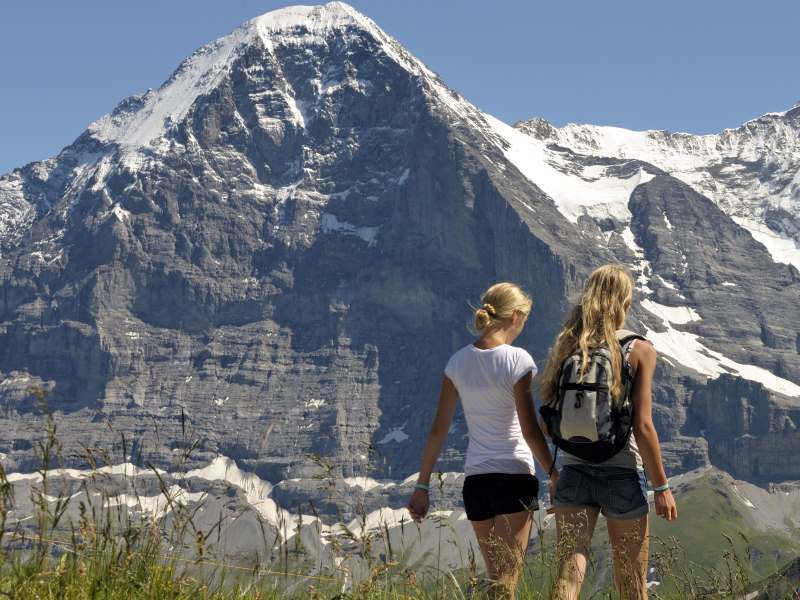 One of the classic ridge walks in the area from the Männlichen peak accross to Kleine Scheidegg. 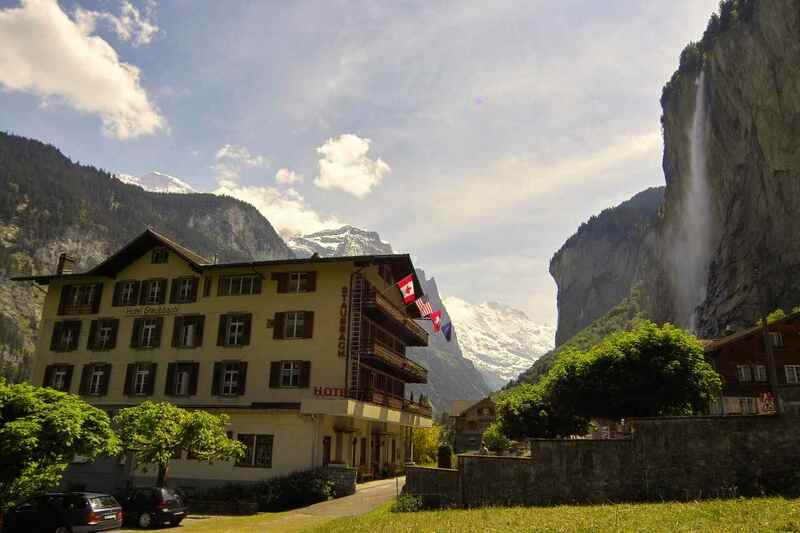 It is from here that climbers tackle the epically difficult Eiger north wall. 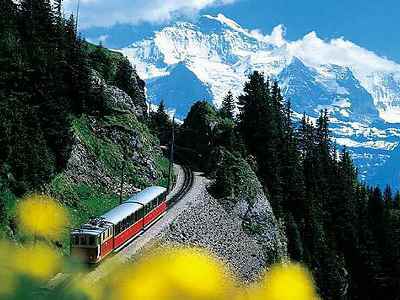 Just 20 minutes away by train or car is Interlaken which lies between the Lakes of Thun and Brienz. Paddles steamers and motor boats cruise the green-blue waters. Hop on and off or enjoy a lazy day with lunch on board. 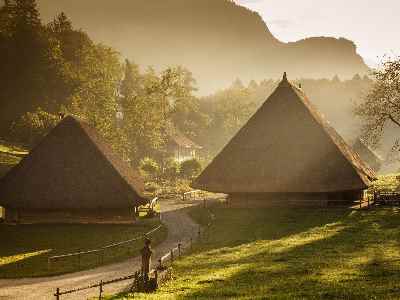 Experience some of Swiss culture at the outdoor museum at Ballenberg with traditional barns and houses from all parts of Switzerland as well as handicrafts and chocolate making. Kids will love the farm animals! 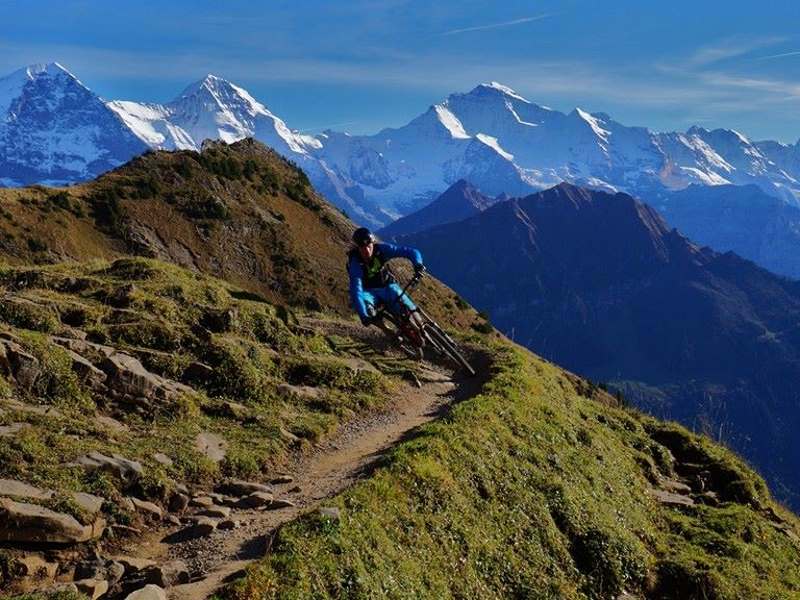 There are endless well-marked trails to suit all abilities and levels of fitness. No matter if you are keen hikers or just like to stroll through the magnificent scenery, we are happy to provide plans and suggestions for your route. You can find bike rental in the village and plenty of mountain bike trails in the area. You can take your bike on the cable cars if you are not keen on riding uphill! 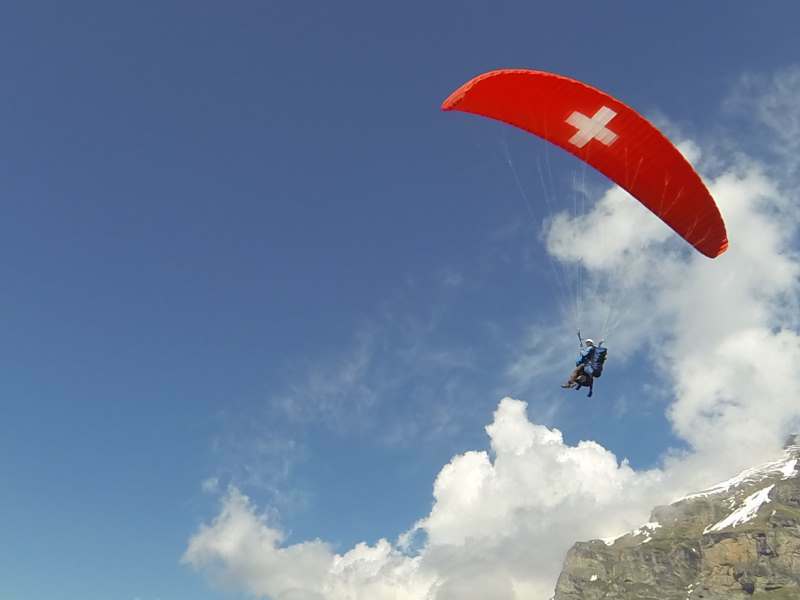 Skydiving in the Lauterbrunnen Valley is the ultimate adrenaline kick and one of the few places in the world to offer jumps from a helicopter. Even if you choose the more gentle paragliding, you will still find out why birds sing! 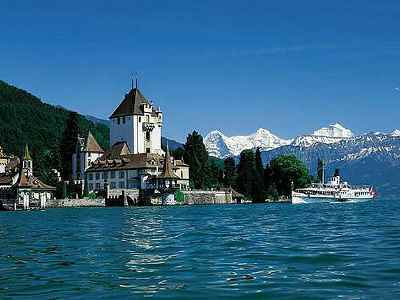 A dip in the clear waters of Lake Brienz or Lake Thun will certainly refresh you after a hard day’s sightseeing. 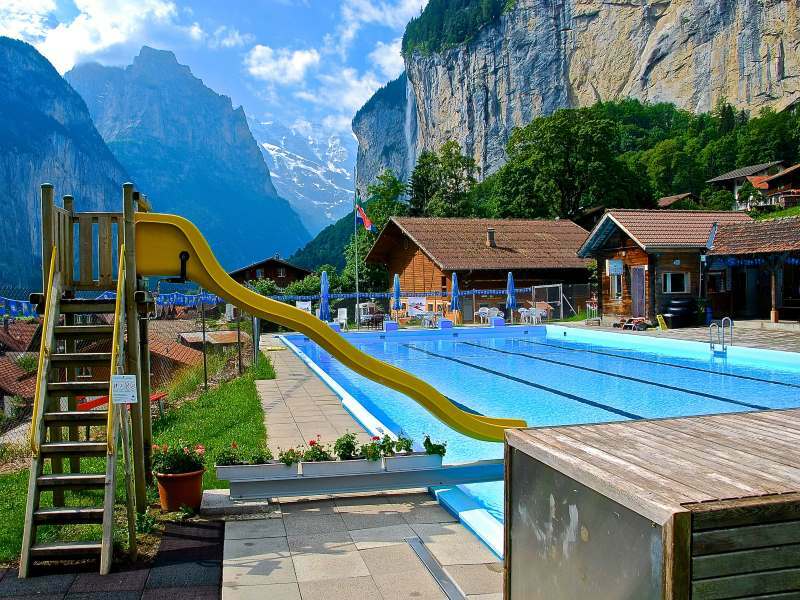 If you prefer it a little warmer, the pool in Lauterbrunnen and the spa at Mürren include stunning views too. The Lütschine River from Grindelwald to Interlaken offers plenty of opportunity for rafting. 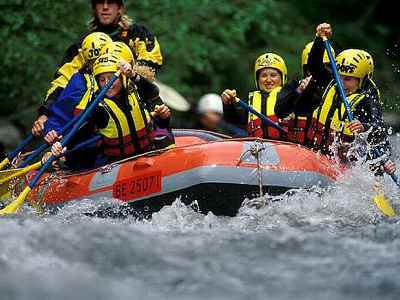 One of the local companies organises a family rafting trips so kids can go along too. Plenty of action as you jump, slide and rappel down rocks and waterfalls into the white water. The beautiful canyon gives a feeling of being back in nature as you travel through the narrow gorges. The thrill of freefall combined with awesome alpine surroundings. 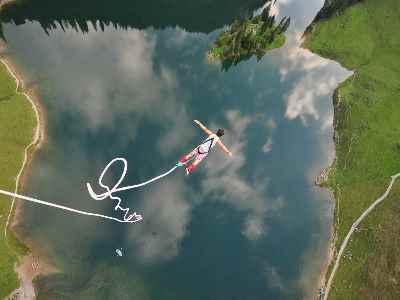 A bungee jump is the ultimate adrenaline rush! 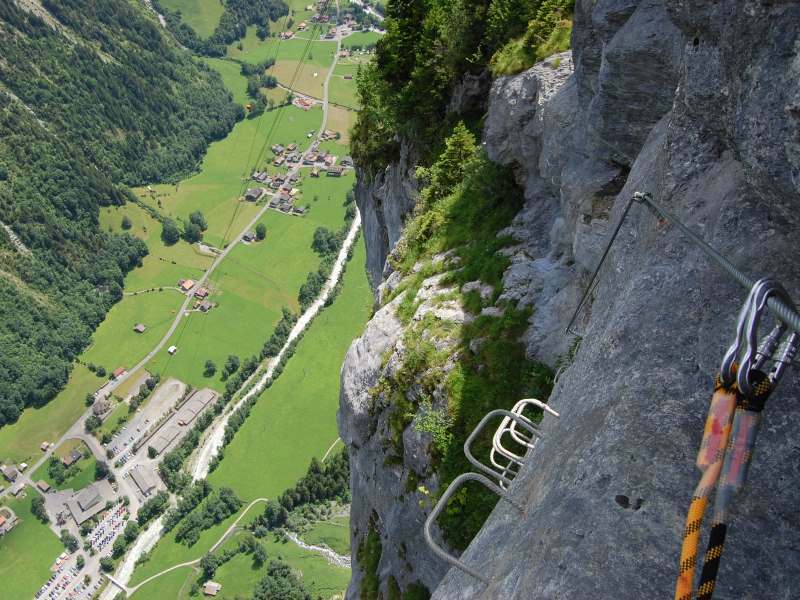 There is an excellent climbing wall in Interlaken as well as plenty of choice of outdoor climbs for experienced climbers as well as several guides who live in the area. A good choice if you haven’t climbed before is a Via Ferrata; there are several nearby.